They alleged that their children were unlawfully arrested by Béninoise police and kept in inhuman conditions – some since seven days ago – without being told their offences or charged to court. According to them, 50 others were arrested, tried and jailed without their families’ knowledge. In a July 9 petition made available to The Nation, the distraught parents sought President Muham-madu Buhari’s intervention through his Senior Special Assistant (SSA) on Diaspora affairs, Hon. Abike Dabiri– Erewa. Their representative, Mr Femi Akinwande, said the Béninoise police had been picking up any Nigerian student with a white person’s picture, a Google code, or any internet-related item on his phone. Many of the students, he claimed, were being held at a police station in Gendarmerie Ablangadan, Cotonou. 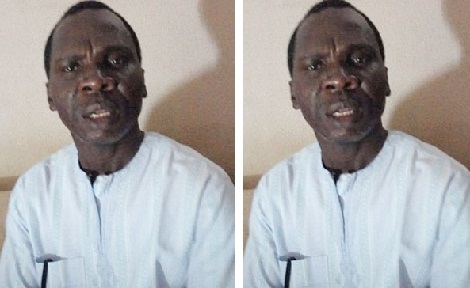 Akinwande, the Managing Director (MD) of FEMAK Markalyn Nigeria Ltd, said his son, Samuel Akinwande, alias Pastor, a 400-level Computer Engineering Student at the Houdegbe Northern American University, Cotonou, was arrested seven days ago, without charge. According to him, the intervention of Nigeria’s Ambassador to the Republic of Benin had failed to resolve his son, or any other Nigerian student’s plight. According to Akinwande the arrests which had been going on “for some time” began following the country’s enactment of a law “banning any form of gangsterism, cultism, hooliganism, Yahoo-Yahoo and Badoo activities. “As a result of this, the Police swung into action arresting both culprits and non-offenders as long as they are Nigerians. The police, he said, arrested his son during his siesta along with 12 others. Akinwande said: “He was rudely woken up to be arrested. On getting to the police station, a police officer told me that they had to arrest people irrespective of what they were doing. “Another police officer confirmed to me that over 50 Nigerians are still in custody not knowing what fate will befall their future, let alone told me what their exact offences were. 50 others were said to have been judged already and serving their jail terms without their families being aware. “At the police station, the officers also said that they would arrest any student, who, on collecting their phones or laptops, they find a white person’s picture, a Google code, or any internet-related item, that will make them to consider such students guilty. In fact, some of the students are already slated to appear in court on Tuesday, July 10th 2018. “The officer said they were forced to act in haste given that Nigerians are vaster in knowledge than them. It is also common knowledge that they are not as computer literate as Nigerians, given that it takes about four days after arrest for them to decipher what they found in the phones or laptops of those arrested. He urged Mrs Dabiri-Erewa, to, on behalf of all the parents, intervene “so that our wrongly arrested children and students can get released to continue their education.